If necessary, request IDs using the Unix Account Request Form. For more information about accounts, see the Single Sign-On Overview. Note: If one or more of the servers does not use OpenSSH, this won't work. For more information, see the Open SSH site. Please contact systems-support@cornell.edu if you need assistance. 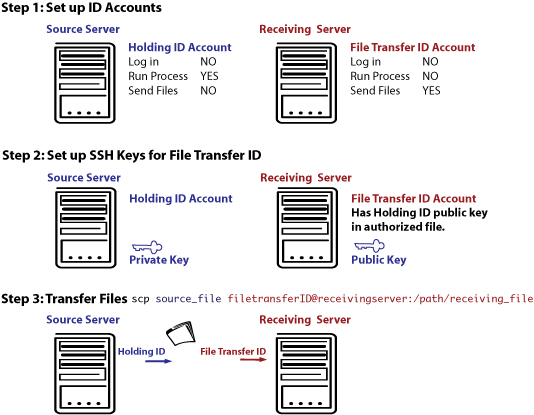 Use the Holding ID's cron job process to transfer the file from the source server to the receiving server.